How to achieve the look: First start by going to your local art supply store, and look for the aisle with pastels. We purchased Senellier soft chalk pastels from Blick. 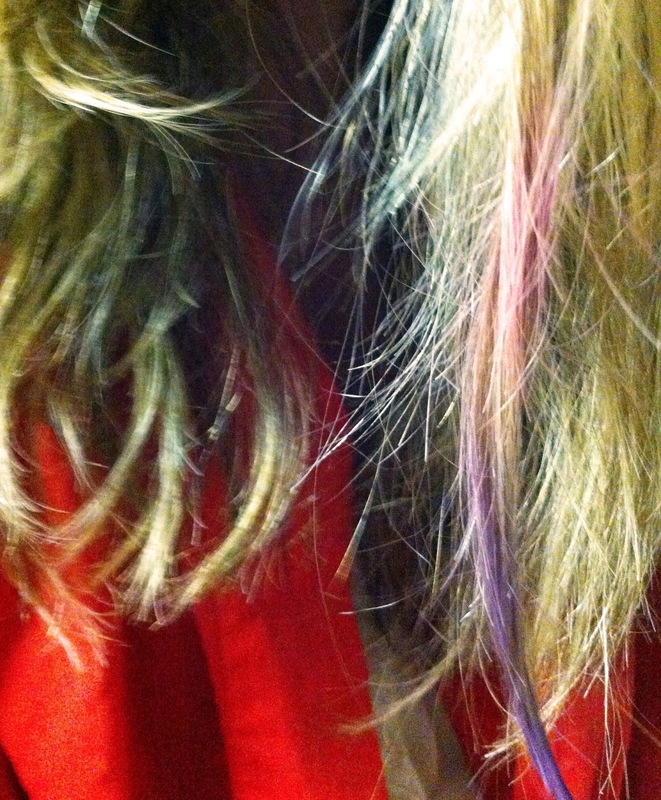 Simply twist your dry hair (wet hair will make the pigment turn into a real dye--but will wash out in a few washes) and rub the chalk up and down. The chalk releases more pigment on texture, so twisting your hair as you chalk will help create a brighter effect. The chalk dust is messy so plan ahead what you will be wearing and where you will do the chalking. Wash your hair with a clarifying shampoo, so it removes the natural binding saps that are found in soft pastels. 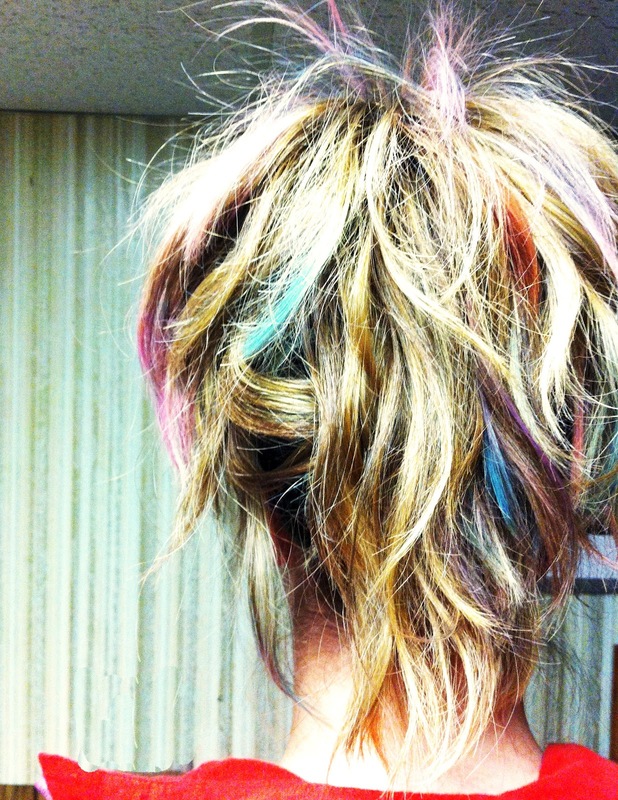 Chalk removes moisture from your hair and can leave dry, so condition well.